The Bodysnatcher Collection and Just the Smegs in Region 4. They're finally here - May 7th sees the much-anticipated Australia and New Zealand release of The Bodysnatcher Collection and Just the Smegs on DVD. And what fantastic shiny discs they are! 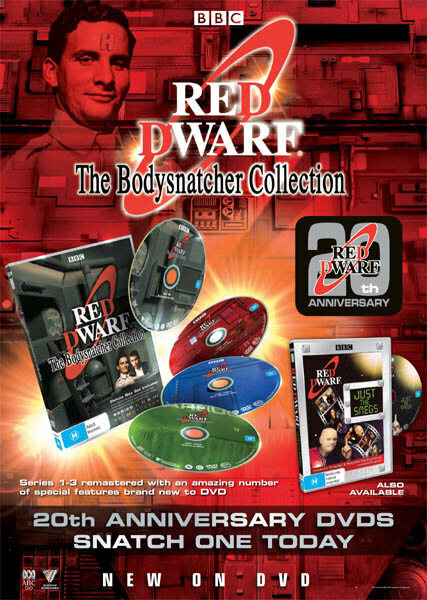 The Bodysnatcher Collection is a four-disc set that includes Red Dwarf: Remastered - the three revamped series - along with text tracks discussing the changes to the shows in what can only be described as a 'not wholly serious' way. There are also commentaries galore, with Ed Bye and Doug Naylor talking all over six episodes, the remastering crew nattering their way through episode one, and Rob Grant and Doug Naylor, erm, conversing through a pre-reshoot cut of The End, as well as Bodysnatcher itself. Ah yes, Bodysnatcher. The lost episode of Series I and the first collaboration between Rob Grant and Doug Naylor in over a decade. Performed by Chris Barrie, storyboarded by Neil Maguire, and funnier than an unused script has any right to be. Then there are the documentaries. 70-minutes apiece for Series I and II's 'making ofs', and the remastered production is covered in detail in Re-Dwarf. All this plus rare versions of Tongue Tied, an archive Grant/Naylor interview, recently-uncovered deleted scenes, unseen scripts from Series III, unseen rehearsal photos, collector's booklet... enough to fill far too much of your spare time. You can find the full list here or visit the Bodysnatcher Microsite to see Rob and Doug discussing their lost episode. And what of Just the Smegs? 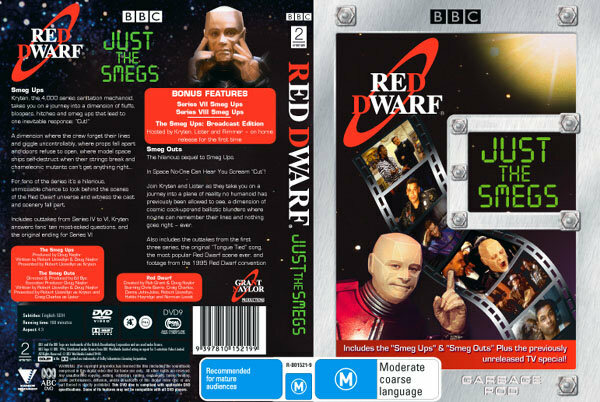 Well, this small but perfectly formed budget release includes the two 50-minute VHS compilations - Smeg Ups and Smeg Outs - as well as an anniversary TV special. 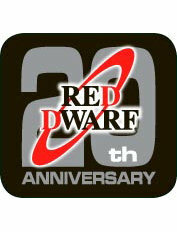 All hosted by Kryten (with various Lister and Rimmer appearances), they're a total yuk-fest. Once again, you can find full details here, or visit the Just the Smegs Microsite. The Bodysnatcher Collection and Just the Smegs are released on May 7th. You can link to buy both from the Australian section of our Merchandise section.